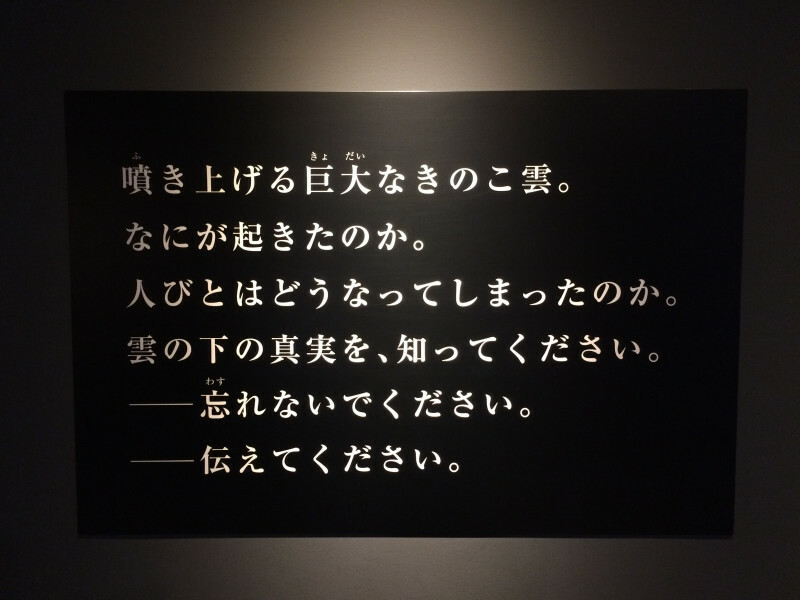 We have known the agony of war. 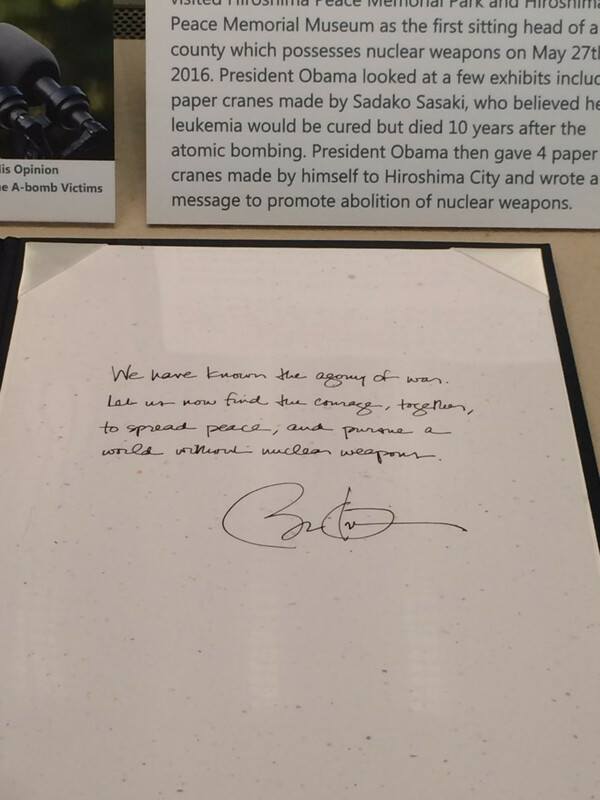 Let us now find the courage, together, to spread peace, and pursue a world without nuclear weapon. 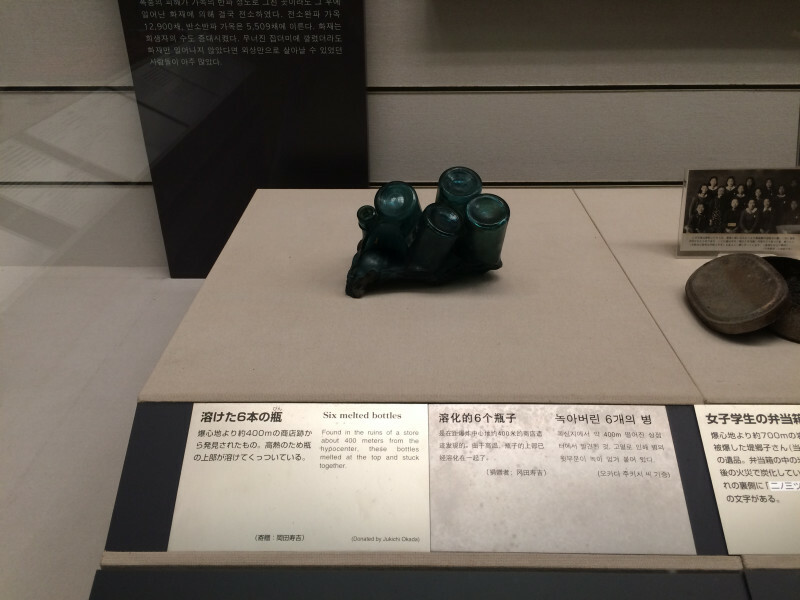 Found in the ruins of a store about 400 meters away from the hypocenter, these bottles melted at the top and stuck together. 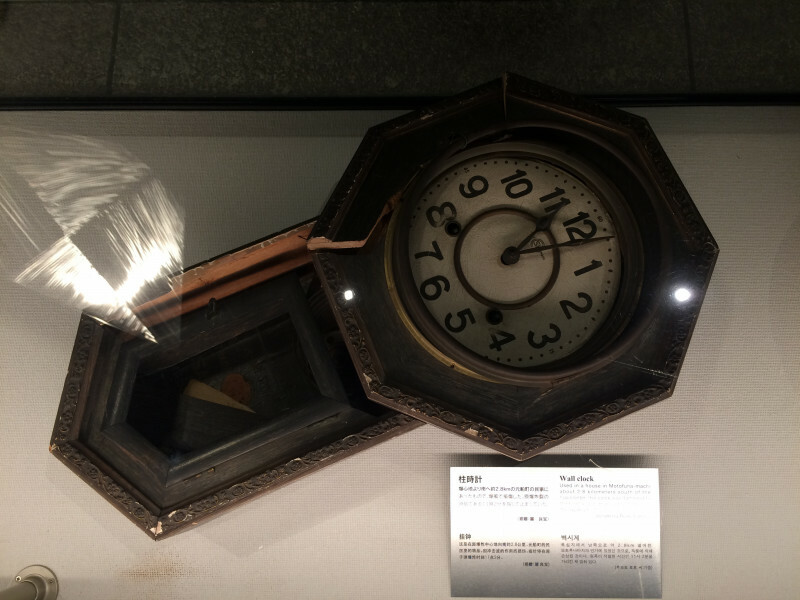 Used in a house in Motofuna-machi about 2.8 kilometers south of the hypocenter, this clock was damaged by the blast and stopped at the moment of the explosion (11:02). 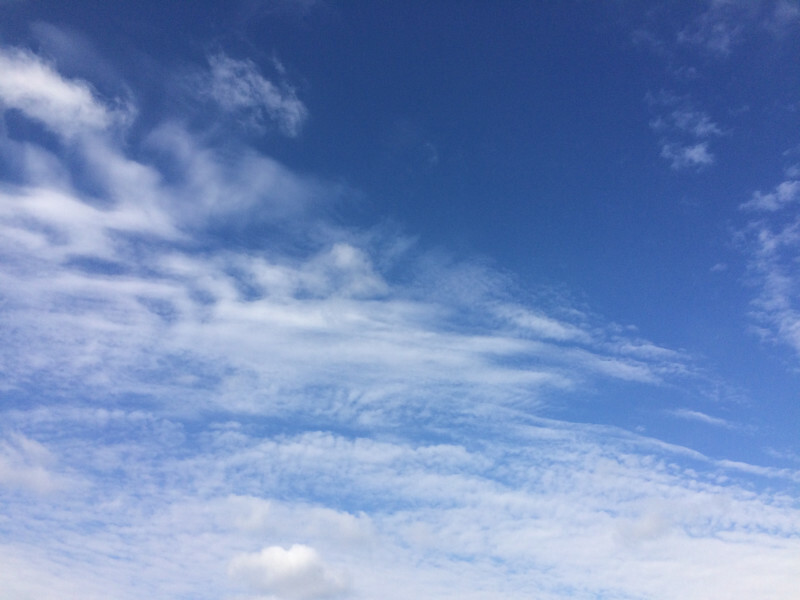 At 11:02a.m. 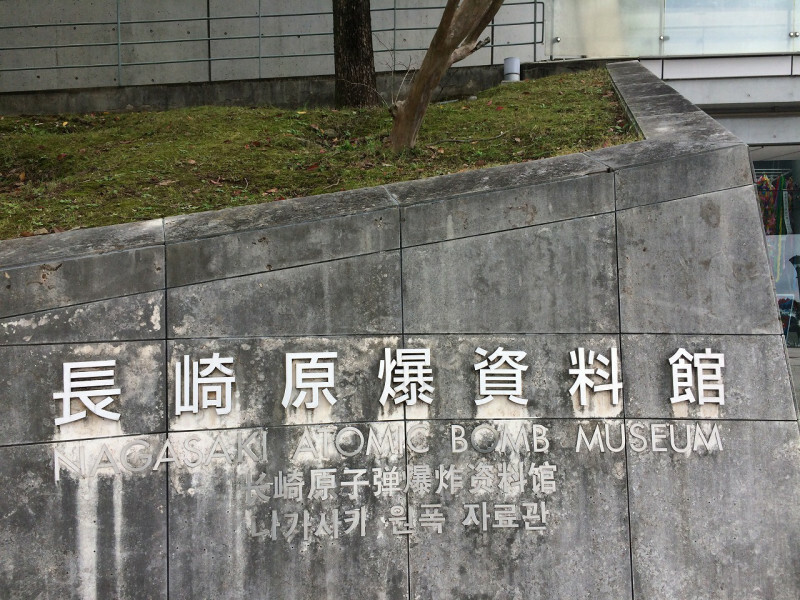 on August 9, 1945, an atomic bomb exploded 500 meters above this spot. 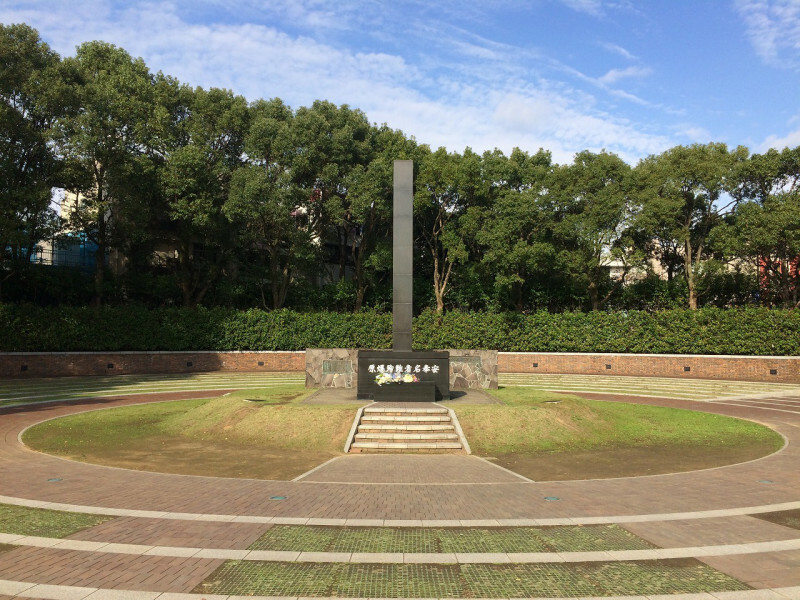 The black stone monolith marks the hypocenter. 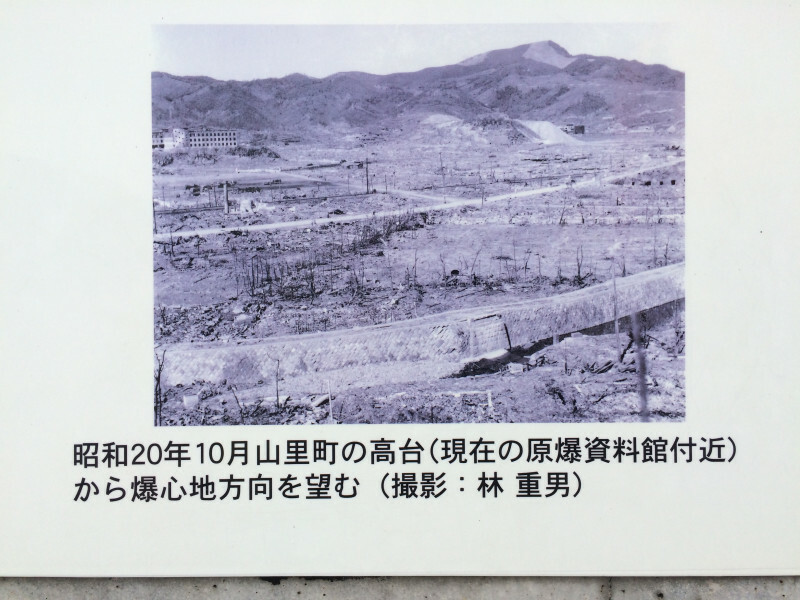 The fierce blast wind; heat rays reaching several thousand degrees and deadly radiation generated by the explosion reduced the city center to ruins. 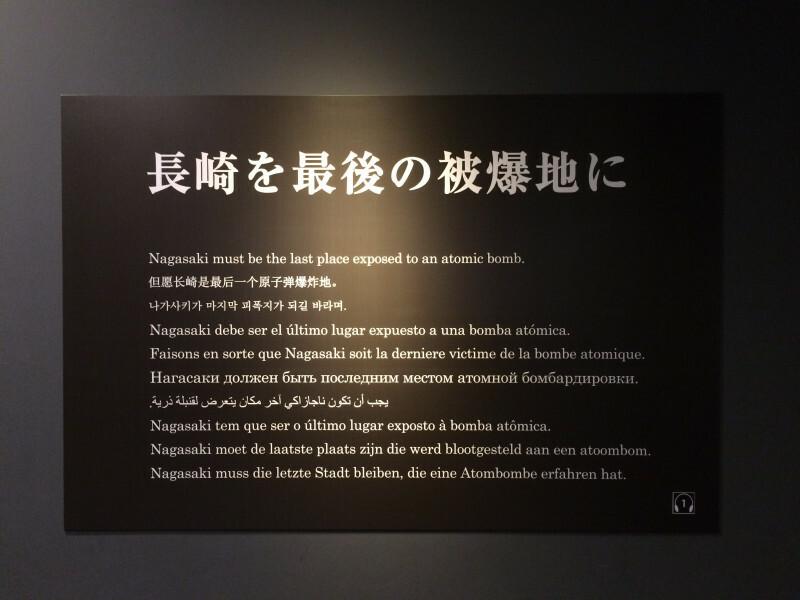 About one-third of Nagasaki City was destroyed and 150,000 people killed or injured. 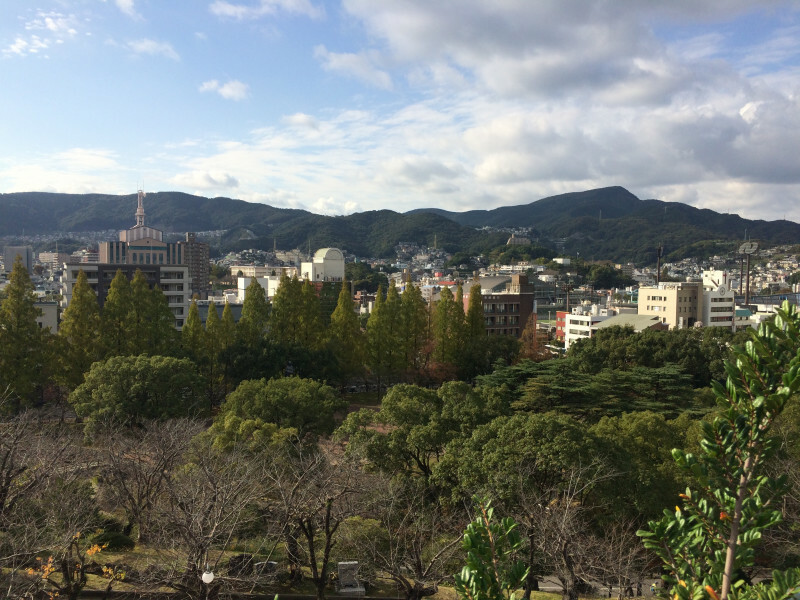 Urakami Cathedral was located on a small hill about 500 meters northeast of the atomic bomb hypocenter. Construction of the church was started in 1895 and completed in 1914 through donations and voluntary labor service by Catholic believers. In 1925, the bell towers at the church entrance also reached completion. 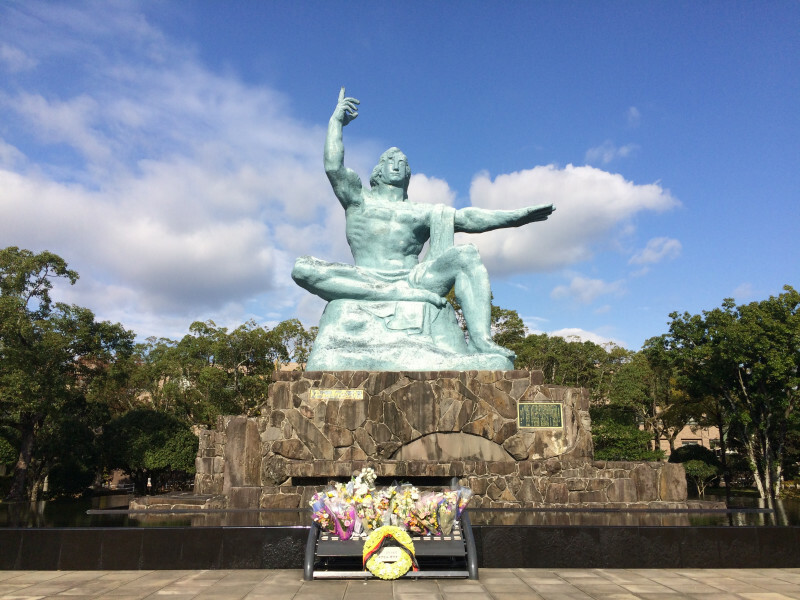 the explosion of the atomic bomb at 11:02 a.m., 9 August 1945 destroyed Urakami Cathedral, the grandest church in east Asia at the time. 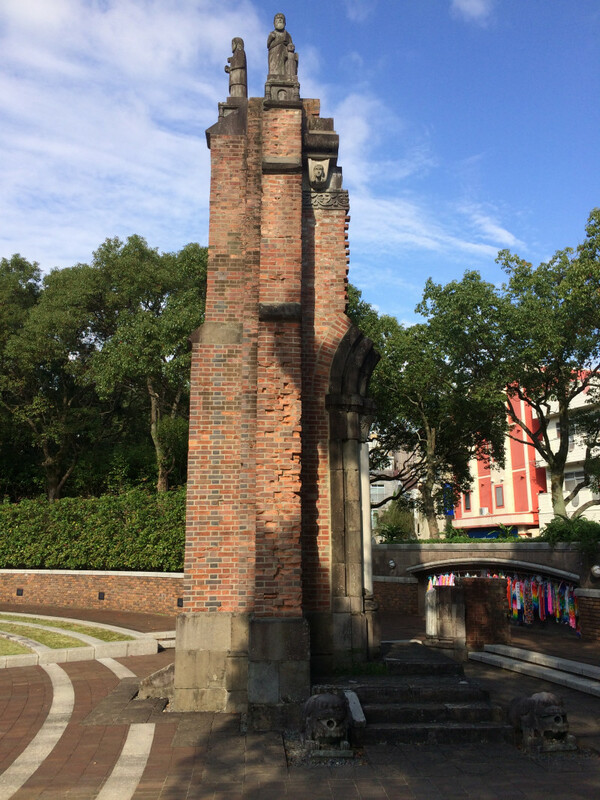 Only the broken church wall remained. 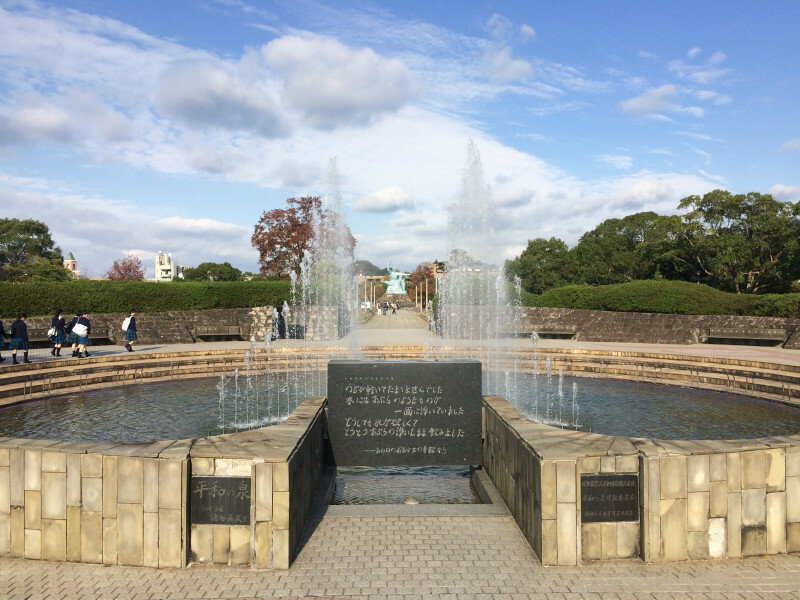 Many of those who were killed in the atomic bombing died as they called for water, water… This fountain, which was constructed with contributions from around the country, is dedicated to their memory and represents aspirations for lasting world peace. 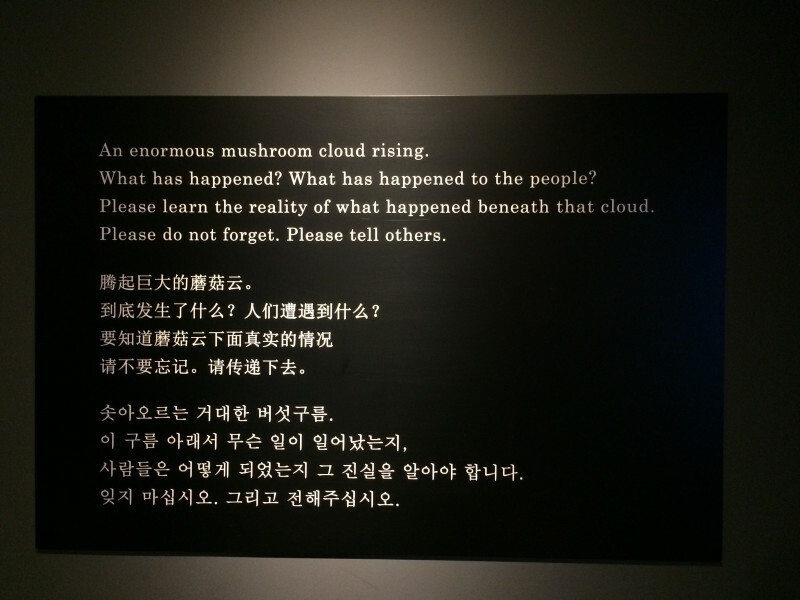 The inscribed passage is taken from the diary of a young woman who experienced the bombing. 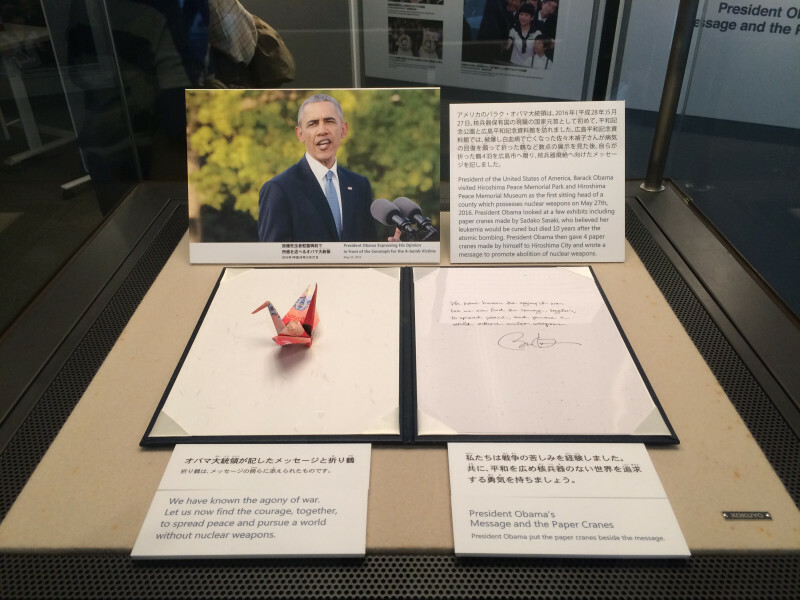 She wrote, “I was so terribly thirsty…” The constantly changing pattern of the falling water represents the wing-beats of a dove of peace, and also symbolizes Nagasaki harbor, known as the harbor of the crane. No words can justify this act.